There is a reason why credit and debit cards are so popular with travellers, especially those travelling light: they eliminate the burden of having to change money before you go abroad and you can avoid carrying too much cash with you in case it gets stolen. With your card, you can easily have it cancelled and fraudulent transactions reimbursed by your bank and usually, it makes much more sense financially to just use your card directly, rather than change money (which usually involves a high commission) or withdraw cash (which carries a high transaction and currency fee). 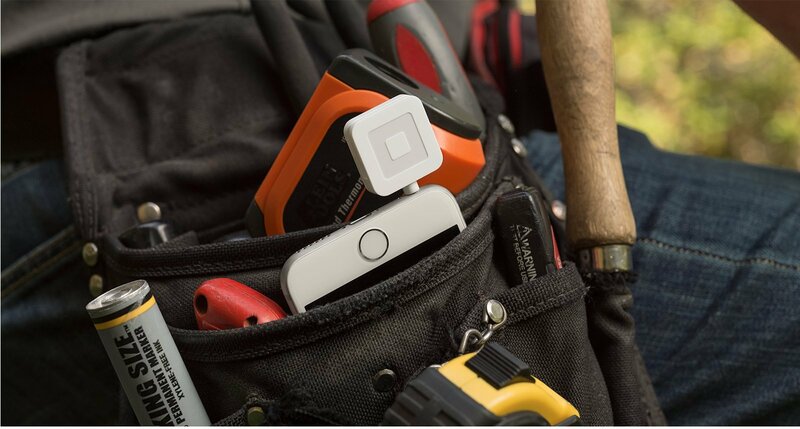 Yet, not all businesses are equipped with a credit card reader provided by a bank. Major companies that have sensed this gap have jumped in to offer solutions that convert your mobile phone into a convenient credit card reader, by attaching a simple gadget. This is extremely useful for professionals too, like salespeople who travel around the country or across borders to meet with clients. These gadgets offer a lot of flexibility to small business employees that do a lot of travelling. Although alternative payment methods like Neteller and Skrill are on the rise, currently capturing 10% of the online payments market (PayPal alone accounts for 6%), Visa and Mastercard remain the most popular options at 55% and credit cards take second place with 21% of the market. With more and more people getting familiar with alternative payment methods, the practice of turning your phone into a credit card reader – and even more than that – could gain in popularity, especially when combined with an increasing acceptance of the latest tech solutions, like the Internet of Things or personal assistants, that seemed far-fetched a few years ago. The public is becoming more and more comfortable with cutting-edge technology and incorporating similar tools might just give businesses a welcome boost. What are the best mobile card readers? Among the most well-known payment systems, Square Register is financially attractive because it comes for a flat monthly rate – which makes it ideal for enterprises that process large payments each month, as they do not have to deal with individual transaction fees. Its speed is also a welcome feature, as payments are processed within a day, and its credit card reader is very conveniently around one inch long, to ensure maximum portability. Square Register is also preferred due to its potential to tailor the service to your specific brand: you can make sure that receipts come with your logo on them, and customers can choose how they want to receive receipts, while the app sends you an email notification when payments are made. The extra mile? The service lets you develop a loyalty system for frequent and returning customers. iZettle is a Swedish company that was founded in 2010 and has since risen to fame through its unique system of mobile payments, which made it one of the fastest-growing companies in the country. Although iZettle is not currently available in the US, it is available in the UK, Mexico, Brazil, Germany, France, Italy, Spain, the Netherlands and all Scandinavian countries. The extra mile? If your business is very privacy-oriented, this is the service to go with. iZettle boasts of being among the most secure systems out there, as all data traffic during the transaction is encrypted and no sensitive banking and personal data is stored. iZettle system is approved by Europay, Mastercard and Visa and ensures compliance with Payment Card Industry Data Security Standard (PCI DSS) requirements. Everyone knows PayPal and almost everyone has a PayPal account, so you cannot really go wrong with getting affiliated with such a strong brand name. Besides the obvious bonus in client trust, PayPal Here is very convenient, too: it ships devices free of charge, deposits money directly into your PayPal account and you can register to a system that gives you cash back if you are a merchant. You can add multiple users to one account, manage your inventory and even generate customized sales reports, complete with useful data like items sold and dates. It comes in many shapes, from a tiny attachable mobile card reader to a chip and swipe card reader that you can connect to your phone via Bluetooth. The extra mile? With PayPal Here, you can also accept cheques – you just need to take a photo of the front and back of the check, and you are ready to go. The convenience of paying with your credit card is now more widespread than ever, as new services like these become more popular and more elaborate every day – next time you travel, simply look for those businesses out there that go the extra mile by investing in similar systems.